Have always loved Timothy B. Schmit .. what a classic voice that ALWAYS takes me back to good memories in my life. Thank you for never allowing me to forget those good times. "Written and tracked during breaks in the The Eagles' touring schedule, the new record shines a light not only on Schmit's voice, which remains remarkably untouched by the decades that have elapsed since he sang his band's final hit, 'I Can't Tell You Why,' but also the songwriting chops of an Americana pioneer. Long before that genre had a name, Schmit helped glue the nuance of country and bluegrass to the noise of rock. If the music on Leap of Faith sounds somewhat familiar, it's because Schmit now shares the marketplace with songwriters who grew up studying his work with Poco and the Eagles. 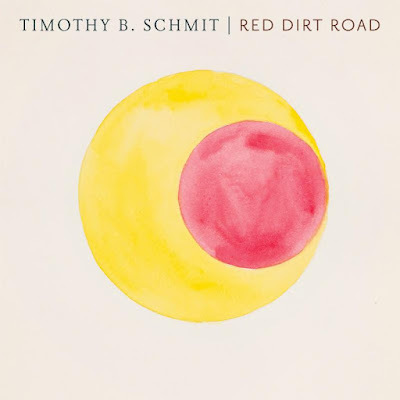 With Leap of Faith's 'Red Dirt Road,' which premieres above at Rolling Stone Country, Schmit proves he's more than willing to break the rules of a genre he helped launch." 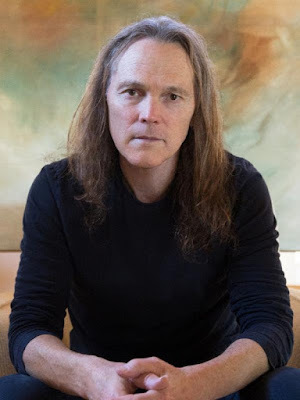 TIMOTHY B. SCHMIT, groundbreaking vocalist, songwriter and bass player from the legendary rock groups Eagles and Poco--has teamed up with Rolling Stone Country to premiere his new song "Red Dirt Road" (here). The song is from his upcoming solo album LEAP OF FAITH, set for release Friday, September 23 on Benowen Records. The album pre-order is available now with exclusive bundles (here) and on iTunes with an instant grat download for "Red Dirt Road" (here). Recorded at his Los Angeles studio and co-produced with engineer Hank Linderman, LEAP OF FAITH is a strong mix of rock, country, Americana, R&B and even a bit of reggae. LEAP OF FAITH marks the culmination of SCHMIT's unhurried, yet inspired reflections of life. Illuminated by an array of fine musicians and singers, LEAP OF FAITH plays like a multicolored corona around Schmit's's distinctive artistry. From the jaunty opening track "My Hat" to the soaring harmonies and heartfelt reflections of "This Waltz," this is more than another album in a great artist's catalog. Writing and recording between touring with the Eagles, the songs on LEAP OF FAITH have a broad compass. "Slow Down" is a note to self on escaping life's pressures coasting along on a reggae pulse sweetened by jazz giant Gary Burton's vibraphone, while "What I Should Do" has a Muscle Shoals feel; steamy, funky, and sensual. On "Goodbye, My Love," he takes us deep down into traditional country with Paul Franklin's glistening steel guitar layered over the changes. And on "It's Alright," his most intimate song, Schmit needs only his own acoustic guitar to express profound love. In September, Timothy heads to Nashville for the Americana Music Festival & Conference. On Wednesday, September 21, he'll be on-hand to present at the Americana Music Awards show at Ryman Auditorium. The following night, he'll perform a live concert during "Music City Roots" at Factory at Franklin which will be live-streamed on Thursday, September 22 (here). The show will be broadcast nationally on PBS TV at a later date andother show performers include Willie Watson, Sean Watkins as well as Wynonna & The Big Noise. On Sunday, September 25, TIMOTHY and his band will perform a concert at City Winery-Nashville (609 Lafayette Street), which is now sold-out. On Monday, September 26 he'll head to Atlanta, GA for a show at City Winery-Atlanta (650 North Ave Ne), on-sale now.